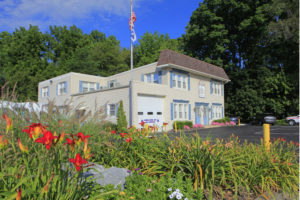 Station - Ephrata Community Ambulance Association, Inc. 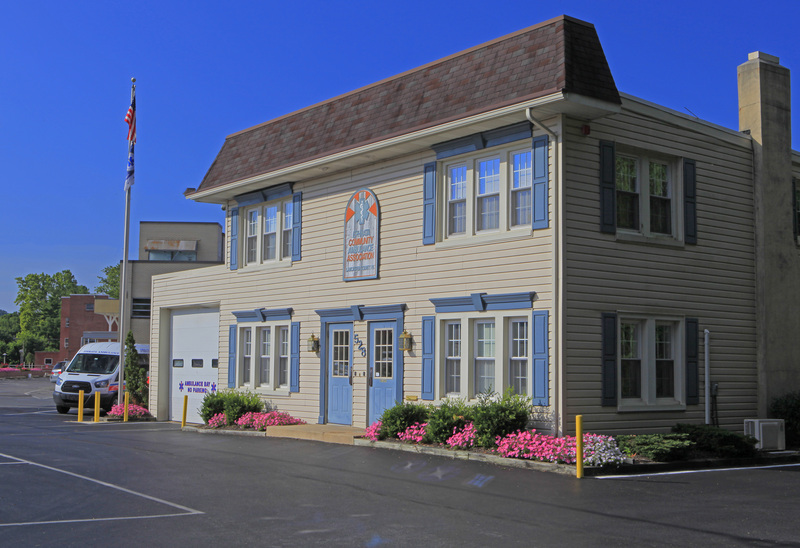 The ECAA station is located in the Borough of Ephrata at 528 West Main Street. 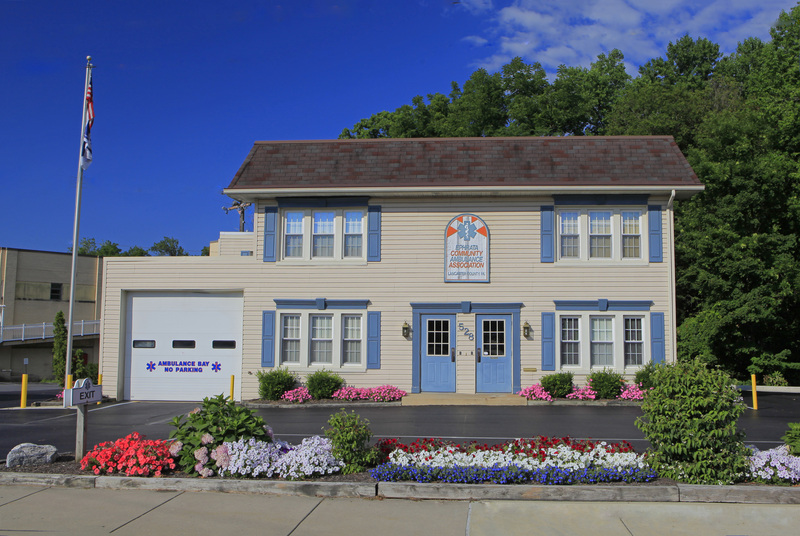 The station is located on Route 322 adjacent to the historic Ephrata Cloister. 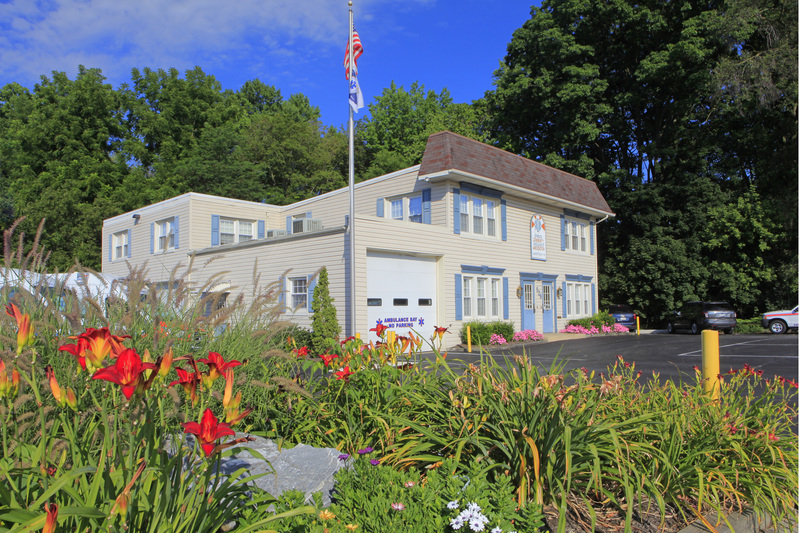 The station has the primary EMS response bay facing the street and has two more EMS bays around the left side towards the rear of the building. The bays are outfitted with an automatic vehicle exhaust system from Nederman and lighting that is actived by the ambulance alert tones. 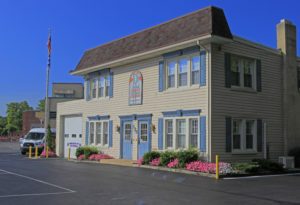 In addition to the three vehicle bays, the station includes storage space, an operations/computer room, a rest room, a laundry room and the corporate office on the ground floor. Upstairs includes a lounge, kitchen, two bedrooms, a storage room, two bathrooms and a large conference/training room. All inside and outside lighting has been upgraded to LED fixtures. The conference/training room is available for use by the community. It is equipped with an LED HDTV, DVD player, an overhead projector, a whiteboard and a refreshment area. Since the ECAA station is only capable of parking three ambulances inside the building. The fourth ambulance, paratransit vans and other vehicles are forced to remain on the parking lot or are housed at an alternate rented location about one mile away, especially during bad weather. To the rear of the station is a deck along the stream, shaded by large trees and made private by a row of evergreen trees. The deck includes benches and a picnic table. The deck also has visibility onto the tranquil neighboring property of the historic Ephrata Cloister. The station is now fully connected to a propane backup power generator. Should there be an electrical outage due to weather related situations, vehicle accidents, etc., the backup generator will automatically provide us with full electrical power to continue normal operations in our station until electrical service can be restored. Our large propane tank will allow us to quietly generate our own electric for several weeks. The building previously housed a gas station and two apartments. The station was purchased in November 1987. 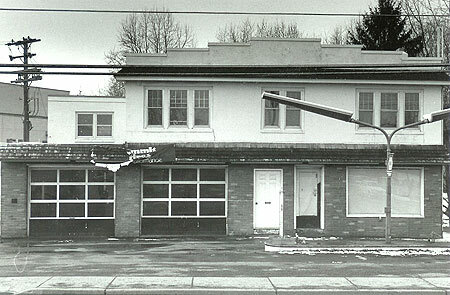 After hundreds of hours of hard work by ECAA volunteers, friends and families, and local professional contractors, the station was occupied in March 1989. Below is a photo of the station just prior to renovation.